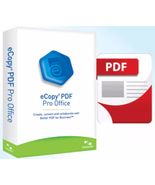 eCopy PDF Pro Office 6.3 CURRENT! 5thNK.com LLC Business license registration; State of Washington in the United States. to be the #1 reseller of eCopy branded software in the World. We sell and support thousands of customers worldwide.